Kitkat seems to be living the life around here. Gettin’ all sorts of fancy things made for him. He picked well when he showed up on our porch. 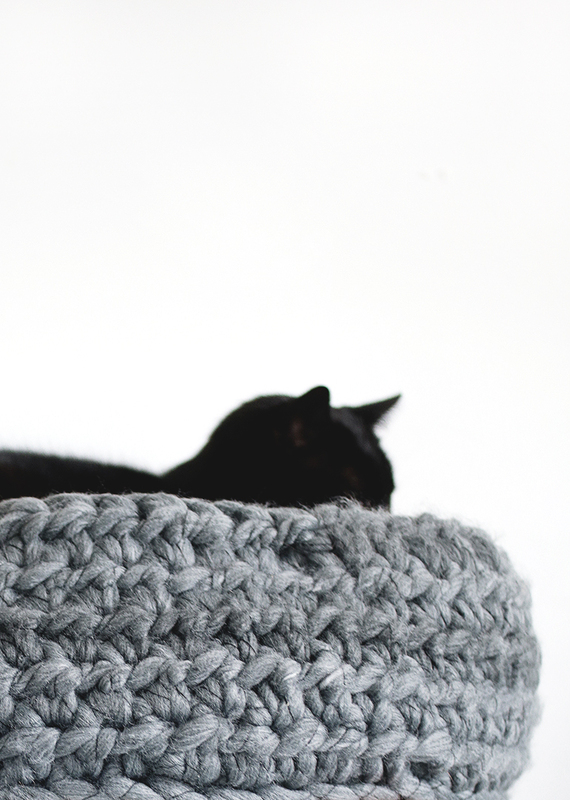 😼 I saw a knit cat bed a while back and it looked super cozy and I thought Kitkat might need one. His other bed is actually in sad shape, it was a little too small for him and the edges got quite bent from the little chunk. Plus it wasn’t cute, at all. So I asked my niece Kailey if she might be able to make one, and she happily obliged and whipped this up! Her knitting/crocheting projects are just the best and we’re so glad she’s willing to share them here! I had Kailey make this bed pretty big. Kitkat’s a big guy and I wanted him to have plenty of space. It’s about 20-inches around. And it has a liner inside it, so it’s extra comfy on the bottom. 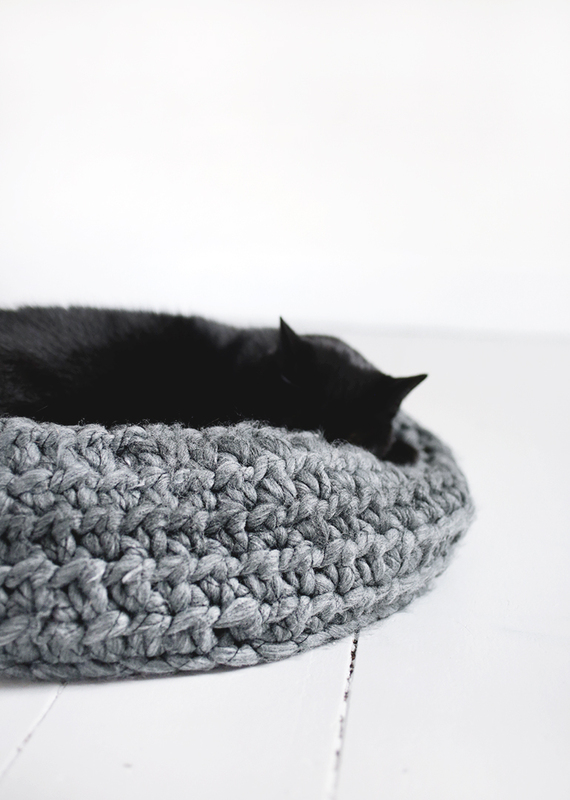 So if you’ve got a cat that needs a present this Christmas 😉, or maybe cat-lady friends that you don’t know what to get for them for Christmas, this bed is just the thing! 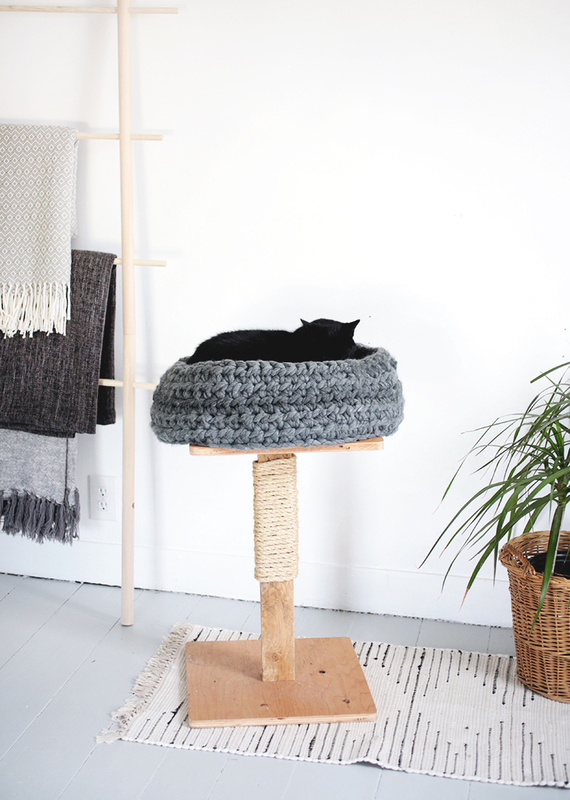 It’ll make everyone happy, it’s cozy for the cat and nice to have laying around your house! Note: The first chain two of every round does not count as a stitch. 7. Chain 2. HDC into front loop of same stitch. HDC into front loop of each stitch around. SS to first HDC. 8. Chain 2. HDC into same stitch and each stitch around. SS to initial HDC to join. Tie off and weave in ends. 9. Repeat Row 8 till desired height. Repeat rows 1-5 and tie off. 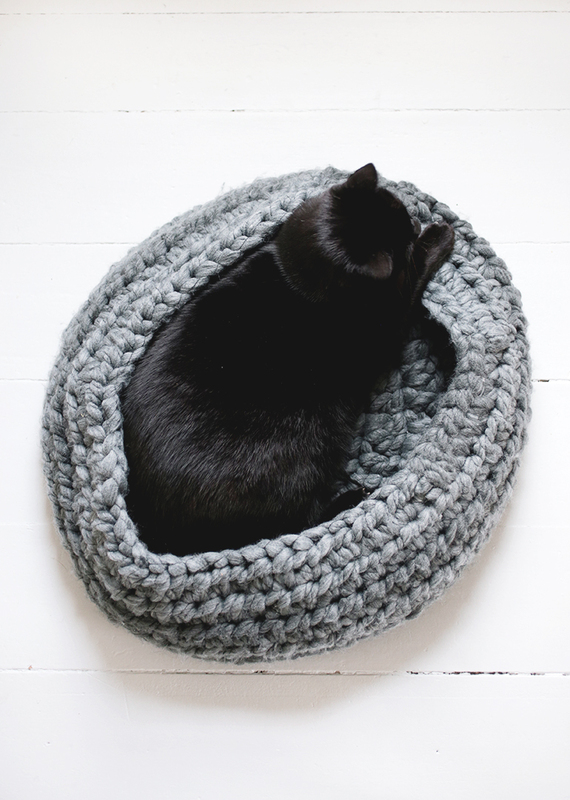 Place inside cat bed. If you want to make the bed larger, simply continue with sequence of stitches after row 6 (ex: row 7a would be- 2DC in one stitch, DC in next 5 Stitches), adding one more DC between every 2DC each round you increase. 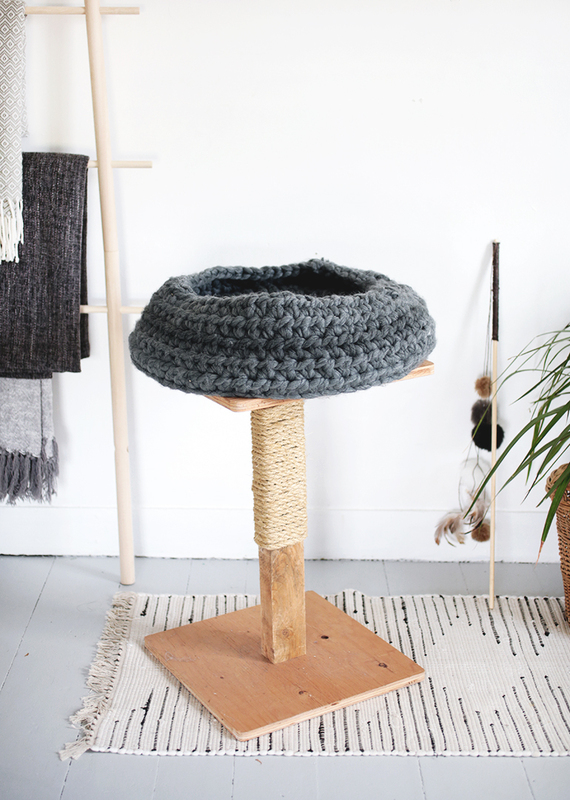 Find other cat DIYs here: DIY Cat Hammock | DIY Cat Toy. 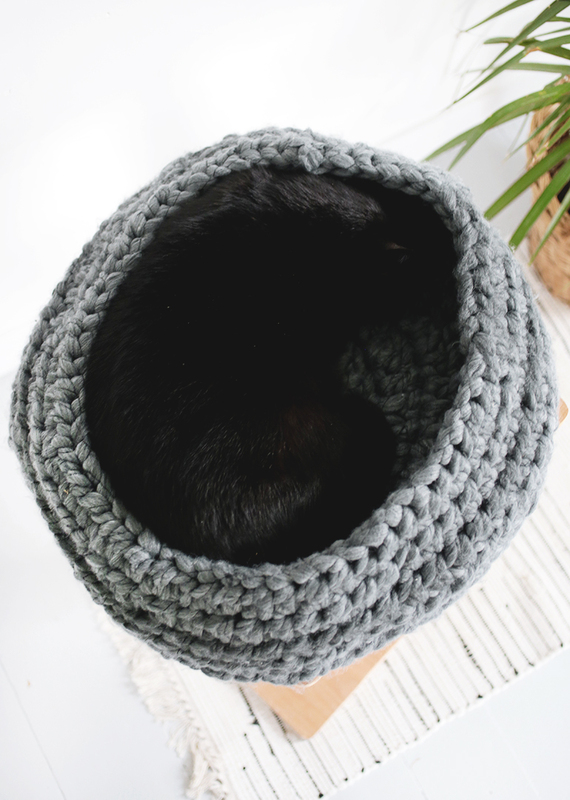 And here’s a few of our favorite knitting/crochet projects: Knit Plant Cover | Crochet Delicates Bag | Crochet Hanging Planter | Easy Chunky Knit Baby Blanket. This is such an awesome idea!! But well out of my league skills wise! Love your blog! Thank you for sharing the pattern! This gonna be a nice Christmas gift for my cat. 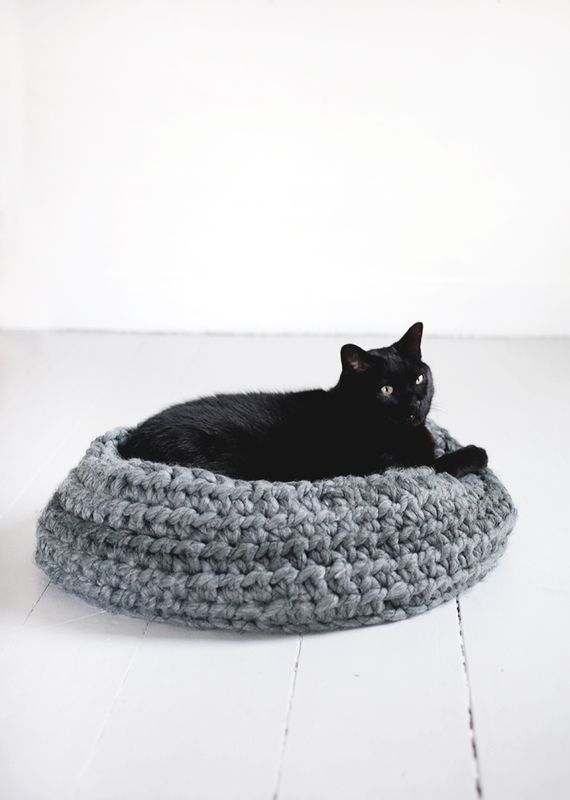 One month till Christmas and it’s enough for a crochet newbie like me to try this bed.